Facebook Messenger is an official desktop client application of the world’s largest social network Facebook.com. This widely popular app was built to enable anyone of its large user base that counts more than billion people from all around the world easy access to live chat capabilities that can be accessed without loading your web browser. This is especially useful for people who like to multitask, but want to remain in contact with their friends, family, business, partners and clients, without having browser always loaded. 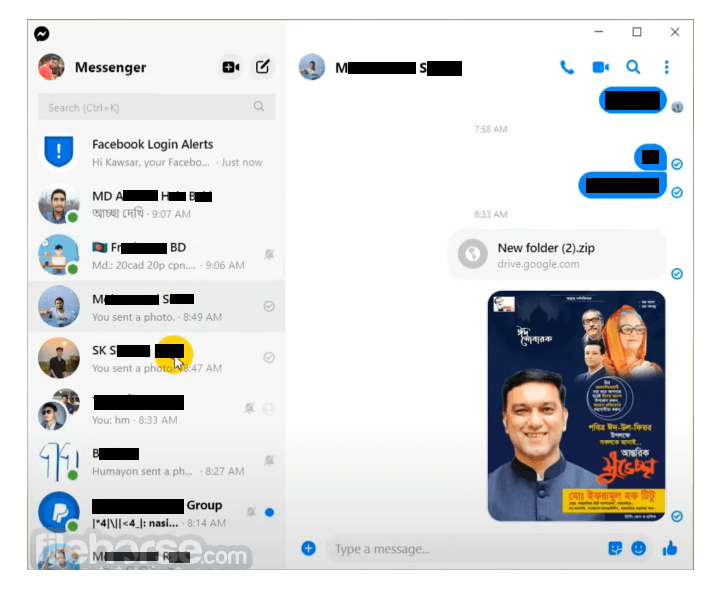 By utilizing all the modern techniques that were popularized by other chat clients, Facebook Messenger for PC enables users to easily maintain multiple chat connections and see the online status of anyone on their friendlist. 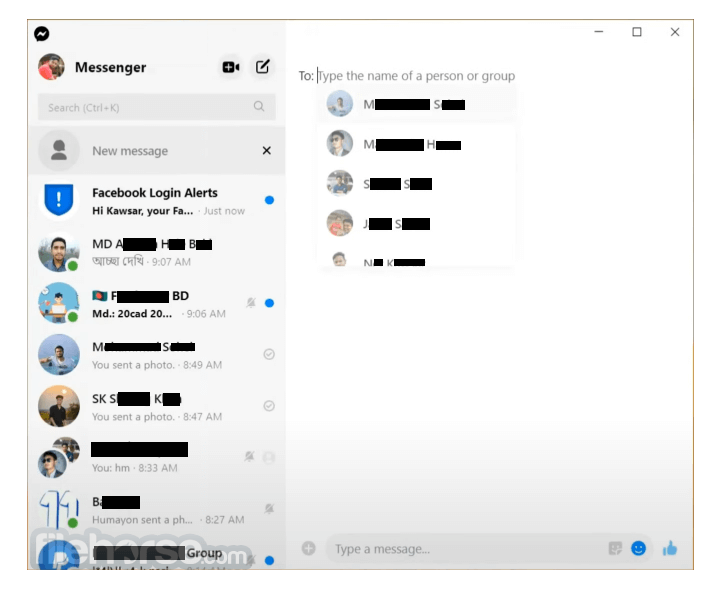 Note: As of March 2014, Facebook Messenger is no longer developed, but you can use fully functional unofficial software Messenger for Desktop.